Are you interested in getting new carpet installed in Beverly Hills, MI? If you are, then we have some good news. 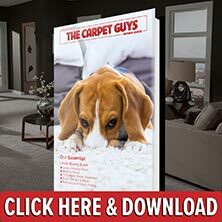 The Carpet Guys are here to help you out. When it comes to carpet and flooring installation, you will not find a better carpet dealer near you to handle the job. We have the finest Beverly Hills carpet installers on our team, and their craftsmanship is second to none. No matter what carpeting needs you may have, we know what it takes to handle them. Contact The Carpet Guys for the best flooring service available. When our installation crews arrive at your home, they can begin by moving the furniture for you upon request. After the room is cleared of the furniture, the installers can remove the old flooring for you. They will bundle up the old carpeting and place it outside for garbage pickup. They will then roll out the new carpet padding and install the carpeting you chose on top. The remnants are then removed and they will place the furniture back into the room, completing the install. Do not spend any more of your time looking around for a professional carpet installation company any longer. Let The Carpet Guys handle the job for you.